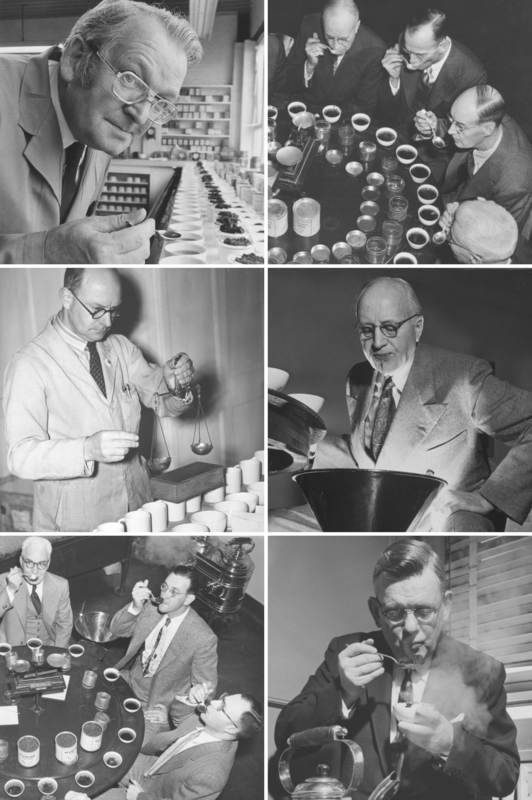 The tea-tasters of all nations wear glasses. It is a well-known fact, though not one that admits of a simple explanation. Steam? Of these particular men it ought to be said: perhaps the Dutch tasters have not only a nose for the job, but an eye, too. As with the tulip, so with the camellia, etc. I actually had to exclude and crop out still more tasters who were wearing glasses. I was in danger of overwhelming you.